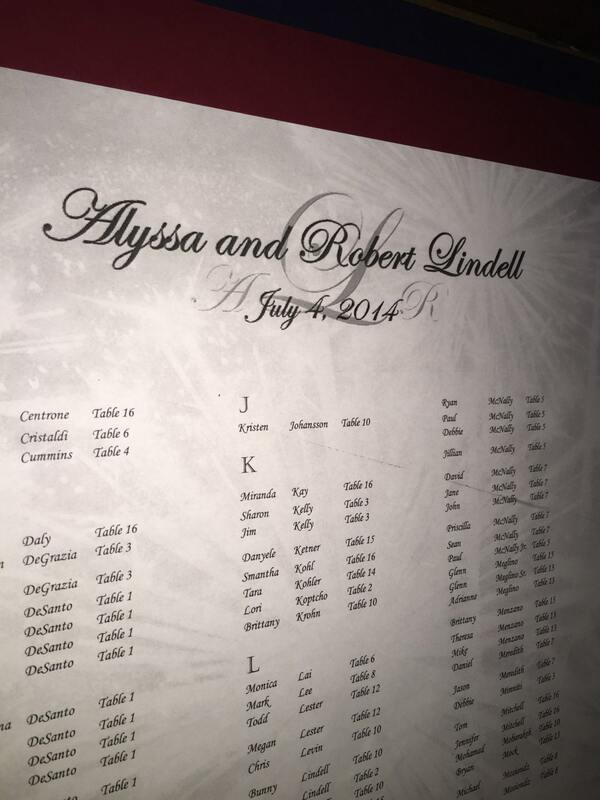 This custom, made to order wedding seating chart is elegant and super convenient for your wedding guests! I made this for my Fourth of July Wedding (hence the red and blue backing) and my guests absolutely loved it! 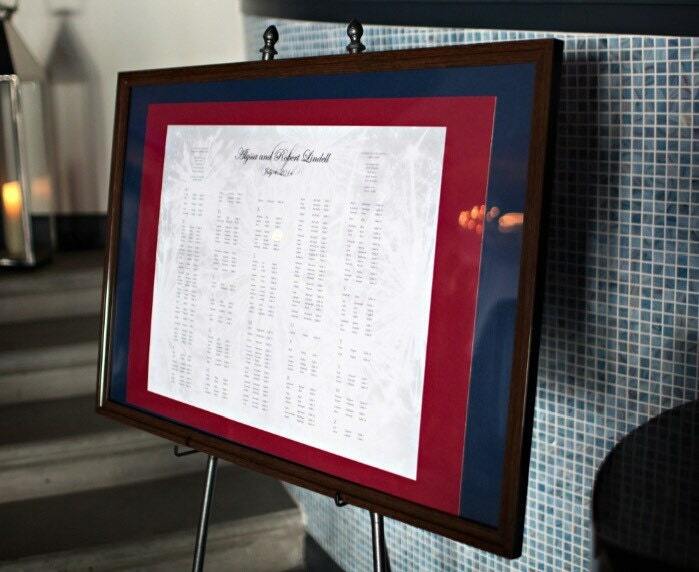 The best part about this custom frame is the use of it after the wedding. 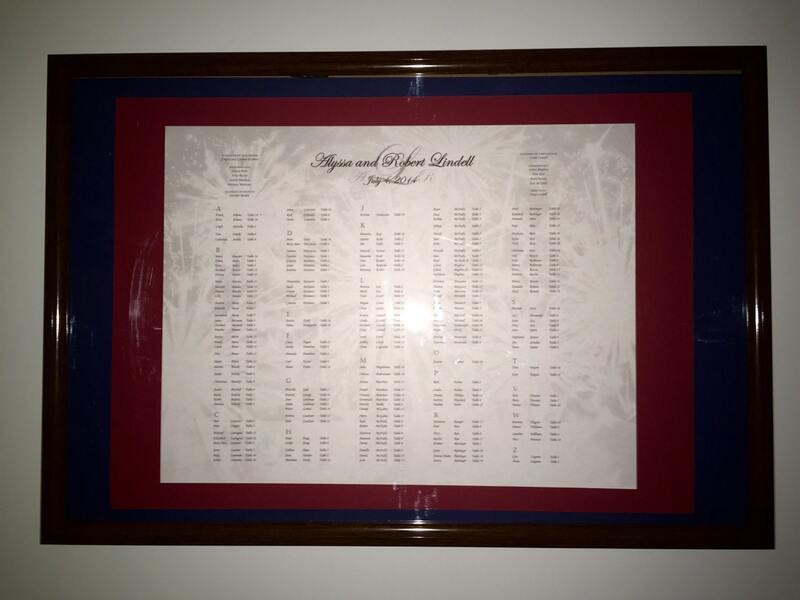 We have it hanging in our home and it is an amazing reminder of our wedding day and all the guests that attended. -Ask me any and all questions that you have prior to ordering. 3. Decide on frame border color (one color is included in the listed cost, if you want two colors like my pictures, let me know and I will make a separate listing for you). 4. Decide on background picture. In the listed pictures, I have fireworks in the background because I was married on the Fourth of July. I can do silhouettes in the background or any other picture of your choice. It must be good pixel quality. (Also send this through email). 5. 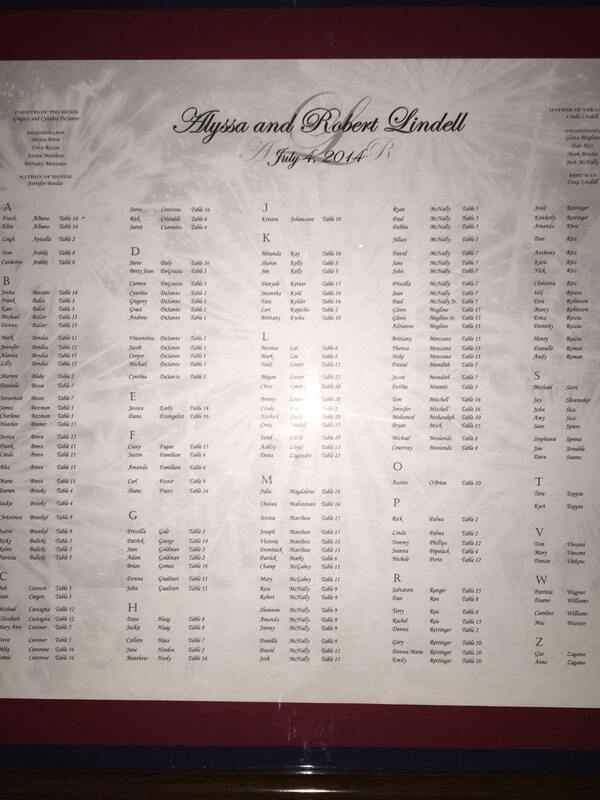 The name of Bride and Groom and Wedding Date. 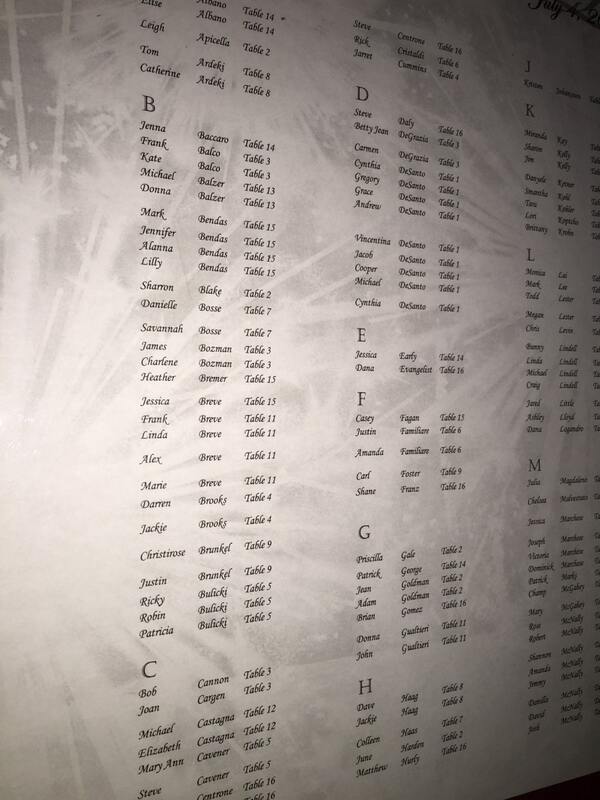 Prior to completing the frame, I will send you a PDF file of the entire seating chart. I WILL make this perfect for you before sending. Shipping is extremely important on an item with fragile parts. Item will be shipped priority and will be carefully packaged so the frame will not break. Special padding and packaging will be used. Message me with questions! You will love this idea for your wedding!